Why You Need A Secure VPN? A public Wi-Fi is a breeding ground for hackers. A secure VPN will combat evildoers from infiltrating your device and shelter you against any hacking activities. Send and receive unlimited number of files through a secure encrypted channel that will encode your documents into a form that is indecipherable by any third-party. Identity theft is a growing concern across numerous countries. PureVPN’s secure VPN assigns you a virtual online identity, hence keeping your real identity disguised at all times. Snoopers are actively eyeing loopholes to penetrate your device to install spyware. PureVPN’s secure VPN nullifies any chances of surveillance and keeps you off the radar. PureVPN employs AES 256-bit military-grade encryption, keeping your data secure protected from malicious entities. PureVPN’s EGS offers a range of capabilities such as an antivirus, content, URL filtering, and app blocking, etc. The apps come packed with industry standard secure protocols, providing a smooth and secure online experience. DDoS attacks can completely disrupt your system. PureVPN’s secure VPN protects you against DDoS attacks of up to 480Gbps. PureVPN’s NAT Firewall blocks all sorts of incoming threats from reaching your device. Conduct secure communications, upload and download files with the ultimate P2P protection. Third parties and spying agencies are the root of all the evil happening online. A secure VPN will dodge, stop & protect you from snooping & government spying. Corporations are all about maximizing their profits and actively use online marketing tactics to convince the masses. With a secure VPN, your online activities are completely anonymous, hence you do not get targeted by trackers, ads, pop-ups, suggestions and more. If you're a privacy-cautious person, chances are you’ve taken precautionary measures to protect yourself from hackers. If you’re not, you should take practical precautions to keep your data safe by using a secure VPN that will encrypt your data and defend your digital presence online. While technology has brought great advances and conveniences, they’ve come at the cost of your online privacy, and governments are eagerly tapping your online activities to form a better picture of who you are. PureVPN masks your real identity and assigns you a virtual identity, keeping you anonymous at all times. Wonder, What Makes a VPN Secure? Check out our detailed page on the what a VPN is and what makes it the most perfect security tool on the planet. What is the Most Secure VPN protocol? 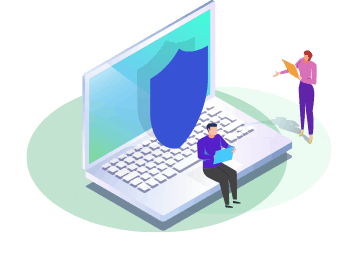 PureVPN provides unmatched online privacy and security to its users with the support of vigorous protocols that are well-known for providing outstanding browsing, downloading, uploading, streaming and security capabilities. Point-to-Point Tunneling protocol delivers fast speed with minimal security. Secure Socket Tunneling Protocol delivers exceptional online security, slightly reducing your internet speed. L2TP is a secure protocol which provides sufficient online security and browsing functionality. IKEV protocol provides the best of both worlds, speed and security. PureVPN’s smart application automatically chooses a fast and secure protocol for you. Connect to the server that you desire to use.